KEY WEST, Florida Keys — In the 1970s internationally acclaimed entertainer Jimmy Buffett wrote "I Have Found Me a Home" about Key West, describing riding his old red bike to "the bars and the beaches of my town." Wednesday through Sunday, Oct. 29-Nov. 2, the island is to host several thousand of the entertainer's Parrot Head fans for their 23rd annual Meeting of the Minds convention. Titled "Havana Daydreamin'" after Buffett's acclaimed 1976 album, the gathering celebrates his music and laidback lifestyle on the island credited with inspiring much of both. A former Key West resident, Buffett flavored his classic songs with mentions of local landmarks including Fausto's Food Palace and the Blue Heaven Restaurant, and characters like former mayor Captain Tony Tarracino and "pirate" Phil Clark. In the mid-1980s, he founded the original Margaritaville Store in the island city. Events planned for the Parrot Heads' 2014 convention include waterfront musical performances, charity events and raffles, and a lively street festival and concert. The anticipated highlight is a series of beachside performances by Buffett's Coral Reefer Band members and musical friends at the Casa Marina, A Waldorf Astoria Resort, located at 1500 Reynolds St. on the Atlantic Ocean. The revelry Friday, Oct. 31, is to include a 7 p.m. "Beachside Album Hour" featuring Comanche Sky Park with original Coral Reefer band members, and a 9:45 p.m. exclusive performance by Reefer Peter Mayer with the Peter Mayer Group. Saturday's "Reefer madness" includes performances by band member Mac MacAnally and veteran Buffett cohorts Keith Sykes and Marshall Chapman. The entertainment extravaganza is to culminate in a showcase by keyboard master Michael Utley and steel drum wizard Robert Greenidge, both of them longtime Reefers who also perform as Club Trini, with an encore by the entire Coral Reefer Band. A meet-and-greet event is to follow. Other featured performers include regional and Parrot Head favorites such as the Will Kimbrough Band, Tropical Soul and John Frinzi & Friends. While most events are open only to registered Parrot Heads, the public is welcome at the Margaritaville Street Fest set for 1 to 5:30 p.m. Friday at Duval and Fleming streets. Entertainment is to be provided by Jim Morris & the Big Bamboo Band and Howard Livingston & the Mile Marker 24 Band. As well as Buffett's music and lifestyle, Parrot Heads embrace charitable, environmental, educational and humanitarian activities. Since 2002, members of the more than 200 national and international Parrot Head chapters have contributed $33.9 million and nearly 3.2 million volunteer hours to local and national charities. KEY WEST, Florida Keys — Over 40 masquerade contests, parties and other spectacles are to challenge the creativity of mask and costume designers during Key West's Oct. 17-26 Fantasy Fest — but none more than the Pet Masquerade and Parade for furred and feathered revelers. Scheduled Wednesday, Oct. 22, the family-friendly costume competition is designed for domestic "party animals" and their human companions. The offbeat event typically draws several dozen entries ranging from costumed pet-and-person duos to animal-and-human ensembles staging choreographed performances. Many entries are likely to reflect the 2014 Fantasy Fest theme of "Animeted Dreams & Adventures," inspired by traditional Japanese anime and other creative animation from blockbuster films to comic-book classics. Animal entrants might be costumed as Kung Fu Pandas, black-masked Batmen or big-eyed heroes from stylized anime. Open to all domestic animals, the "animeted" antics are set to begin at 5:30 p.m. on an oceanfront stage at the Casa Marina, A Waldorf Astoria Resort, at 1500 Reynolds St. Judges traditionally award prizes for the top junior contestants, most exotic attire, best theme adaptation, best pet-owner look-alikes and overall winner. Recent years' standouts have included a "vampire cat" with a replica coffin, a Great Dane costumed as a Florida lobster, a Chihuahua "burro" with tiny tequila-filled saddlebags and an eerie ensemble that crept through the crowd and danced onstage to Michael Jackson's "Thriller." General admission for spectators is free, and VIP seating and cocktail packages can be purchased at keystix.com. Proceeds from the Pet Masquerade benefit the Lower Keys Friends of Animals. During the festival, films are to be screened at island landmarks, including an independent film multiplex, Tropic Cinema. KEY WEST, Florida Keys — Film fans can feast their senses on offerings featuring Marisa Tomei, Patrick Stewart, Glenn Close, America Ferrara, Frank Langella, Jason Schwartzman, Selena Gomez and dozens of other stars at the third annual Key West Film Festival. Set for Wednesday through Sunday, Nov. 12-16, the festival spotlights nearly 50 films on the subtropical island where classics such as Tennessee Williams' "The Rose Tattoo" and the James Bond adventure "License to Kill" were partially shot. Among the festival's planned highlights are showings of the 2014 comedy "Loitering with Intent" starring Marisa Tomei, with appearances by director Adam Rapp and others involved in the production; the comedy-drama "Goodbye to All That," paired with a question-and-answer session with writer/director Angus MacLachlin; and Sebastian Junger's documentary "Korengal," capturing the experience of a military platoon in a deadly Afghanistan valley. A question-and-answer session with Junger is scheduled as well. 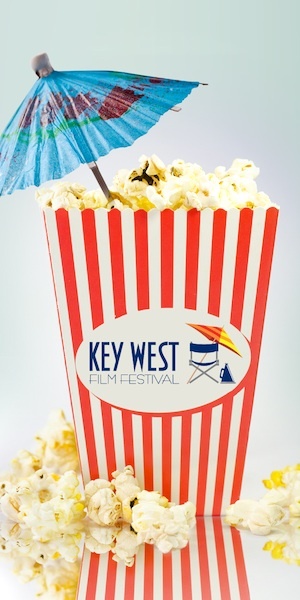 Feature presentations are to be screened at Key West's historic San Carlos Institute, 516 Duval St., and independent film multiplex Tropic Cinema, 416 Eaton St. Plans call for filmmakers, directors and producers associated with many of them to be on hand to discuss their creations. A portion of the festival is to focus on Cuban cinema and feature director Leon Ichaso, famed for his "El Cantante" starring Jennifer Lopez and Marc Anthony, and "Pinero" with Benjamin Bratt. Also scheduled for showing is a group of Florida-based full-length and short films. They include a documentary on Florida prisoner and escape artist Mark DeFriest, an adaptation of the story of South Florida magician James "The Amazing" Randi, who exposed a faith healer's trickery, and the documentary "South Beach on Heels," which follows the exploits of eight drag queens. Other attractions for film buffs include a welcome reception, gatherings with festival VIPs and an oceanfront champagne awards dinner. FLORIDA KEYS — Bicyclists are to explore the Florida Keys and pedal one of America's most scenic roadways during the seven-night, 200-mile BubbaFest Bike Tour set for Saturday through Saturday, Nov. 1-8. Led by retired police sergeant and biking enthusiast Bubba Barron, the fully supported adventure takes cycling fans from Key Largo to Key West and back along the Overseas Highway (U.S. Highway 1) that connects the Keys with each other and the Florida mainland. Incorporating 42 bridges and long vistas of breathtaking open water, the highway was designated an All-American Road in 2009, the highest recognition possible under the National Scenic Byways program. Riders proceed at their own pace each day, enjoying their favorite sport while discovering the Keys' environment and attractions. Among the noncycling options available are swimming with dolphins, visiting eco-attractions, snorkeling, sunning and exploring galleries and boutiques. The schedule features a layover day at Marathon in the Middle Keys and two layover days in Key West. Attractions include manageable mileage averaging 45 miles per day, a mostly flat route suited to riders of virtually all abilities, warm subtropical temperatures and accommodations at waterfront campgrounds. Support vehicles are available to transport anyone who wants a break from cycling, and a bike mechanic and licensed massage therapist travel with the group. BubbaFest begins in Key Largo Saturday, Nov. 1, with registration at the Holiday Inn Key Largo, 99701 Overseas Highway, followed by a welcome reception and dinner. The fee of $735 per participant includes six nights at beachside campgrounds, six breakfasts and five dinners, a private open-air trolley tour of Key West, a farewell dinner dance and services of a baggage truck and support vehicle. Motel lodging and "pampering" service are available for an additional fee. Days and nights of ghoulish delight are planned for the 13th Annual Haunting of Fort Zachary Taylor, a Civil War-era fort beside Key West's Atlantic Ocean shore. 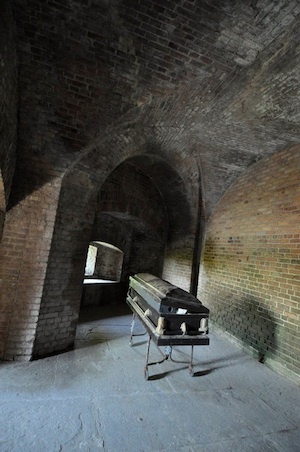 FLORIDA KEYS — Halloween 2014 brings mischief to the Florida Keys with eerie events scheduled from the continental United States' southernmost city, Key West, to the island chain's northernmost spot in Key Largo. Among the haunting highlights is the Underwater Pumpkin Carving Contest. Divers can earn prizes for subsea slicing during the annual challenge, which is set for 8:30 a.m. Sunday, Oct. 19, hosted by Amy Slate's Amoray Dive Resort at mile marker (MM) 104.5 bayside in Key Largo. 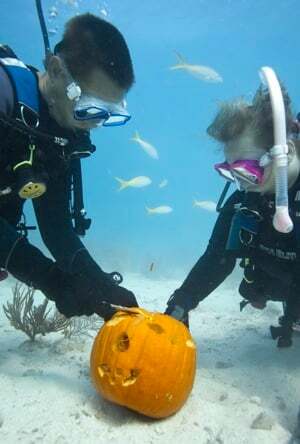 Buddy teams can creatively carve hollowed-out pumpkins at depths of 30 feet in the Florida Keys National Marine Sanctuary. The 2014 pumpkin carving theme is "Your Favorite Fish." The fee is $85 per diver for the two-tank, two-location dive including tanks, pumpkins, weights and snorkel equipment. However, divers must bring their own carving tools. Space is limited so divers are encouraged to sign up early. For information, visit amoray.com or call Amy Slate's Amoray Dive Resort at 800-426-6729. Explorers' hair will likely stand on end while they weave through the Matecumbe Massacre Maze hosted at Robbie's Marina, MM 77.5 from 5:30-7:30 p.m. Thursday, Oct. 30. Islamorada's family-friendly marina is to stage a free "spook-tacular" show for costumed ghouls age 12 and under. Attractions include a kids' corner, candy, fun, food and refreshments. Starting at 7:30 p.m. the excitement amps up for older spirits with a costume contest, food and beverage specials. A live band is to play throughout the night's events. Visit robbies.com or call 305-664-8070. In the Middle Keys, Crane Point's Haunted House inhabited by ghosts, ghouls and freaky characters will set a spooky tone for the year's eeriest holiday. The fright-fest begins at 6:30 p.m. Thursday, Oct. 30, at the 63-acre Crane Point Hammock, located at MM 50.5 bayside in Marathon, and is free to the public. The entrance of the Haunted House is at the center of the property from the right-of-way. Visit cranepoint.net or call 305-743-3900. From Friday, Oct. 17, through Sunday, Oct. 26, Key West will be filled with costumed partygoers for the city's annual Fantasy Fest masking and costuming extravaganza. The 2014 festival is themed "Animeted Dreams & Adventures" and includes 10 days of masquerade parties, costume contests and uninhibited festivities, all climaxing in an epic grand parade Saturday, Oct. 25. The festival's traditional Children's Day offers food, games, arts and crafts as well as a costume contest. The family fun takes place Sunday, Oct. 26, from noon to 5 p.m. at the island's Bayview Park at Truman Avenue and Eisenhower Drive. For Fantasy Fest information, visit fantasyfest.com. For Children's Day details, call 305-292-8912. Days and nights of ghoulish delight are planned for the 13th Annual Haunting of Fort Zachary Taylor, a Civil War-era fort beside Key West's Atlantic Ocean shore. This year three spooky sections of the enchanted citadel will be the stage for live "shows," treating visitors to otherworldly celebrations not suitable for mere mortals. Events will take place Oct. 17-19, 23-24, 26 and 30-31, and attendees are encouraged to don devilish costumes. Tricks and treats for the little ones are planned for Kid's Day, scheduled Sunday, Oct. 19, from 5-7 p.m.
Ghost-seekers can access Fort Taylor and its surrounding state park from an entrance on Southard Street past Thomas Street. Kid's Day entry is free with park admission. Admission to the haunting is $13 per adult, $10 for military personnel, $8 for kids and free for children under age 5. Hours are 8-11 p.m. (midnight on Halloween). Learn more at hauntedkeywestfort.com. FLORIDA KEYS - The Florida Keys & Key West offer a variety of new and enhanced accommodations, intriguing museum exhibits, adrenaline-pumping adventures and outdoor activities to tempt visitors ranging from adventurers to relaxation seekers. Explore the highlights here. The Marker Waterfront Resort, located in Key West's Historic Seaport in the renowned Old Town district, is to open in late 2014 as a premier independent luxury hotel. In addition to The Marker's 96 guest rooms, the property boasts an eclectic dining concept, lush tropical landscaping, multiple swimming pools and poolside cocktail service as well as on-site parking and breathtaking waterfront views. Named in honor of the highway mile markers that lead to Key West, the southernmost island city in the continental United States, the resort combines a modern and timeless aesthetic with the free spirit and tropical nature of the Key West community. Starting rates for The Marker Key West Resort will be $329. For more information, visit themarkerkeywest.com. The Gates Hotel Key West, a new independent hotel with 100 rooms, is set to open in late fall 2014. The boutique hotel is to blend refined luxury, minimalist design, artwork, food and music into a chic and comfortable lodging experience reminiscent of "old school Key West." Among the hotel's features is Rum Row, a contemporary rum bar, serving signature cocktails and tapas-style entrees for both lunch and dinner, along with entertainment daily. The property's large pool will also feature cabanas and day beds. The Gates' common areas and guest rooms will showcase original photography by award-winning local photographer Jorge de la Torriente of De La Gallery. The Gates is located at the entrance to Key West on North Roosevelt Boulevard. Rates start at $249. For more information, visit gateshotelkeywest.com. Visitors to America's southernmost city can receive special values on museum and attractions admissions, watersports adventures and more by purchasing a Key West Vacation Pass from the Key West Attractions Association. The $49 pass booklet contains 22 offers from many of Key West's popular attractions and can be used through Dec. 19. Values are featured on tickets for historic and museum attractions, snorkeling excursions, kayaking and eco-tours, visits to nature facilities, fishing charters, food and beverages, sunset cruises and even a flyboard adventure. Visitors must purchase passes online at keywestvacationpass.com before traveling to Key West, and should receive them within seven days of ordering. Some blackout dates apply, and there is a $6 shipping and handling fee. For information, visit keywestattractions.org. Several renovations and restorations are complete at the Florida Keys Wild Bird Center in Tavernier. In 2013, the FKWBC purchased a property at 92080 Overseas Highway that has become a rehabilitation and education center. The center is equipped with an operating room, X-ray capability, a triage unit, isolation area and separate recovery areas for small and large birds along with an outdoor pelican enclosure. Officially opened in August 2014, the center is expected to be fully operational by October 2014. The Florida Keys Wild Bird Center is dedicated to the rescue and rehabilitation of sick and injured birds in the Upper Keys area, and their release whenever possible. As well as the rehabilitation center, the facility operates a visitor center and a sanctuary that houses rehabilitated birds that can no longer survive in the wild. For more information visit fkwbc.org. SEAduction, a Blue Star-recognized dive and snorkel charter service, has recently reopened at 90507 Old Highway in Tavernier. The new company is the first Florida Keys charter to operate U.S. Coast Guard-inspected vessels powered by biodiesel, or biodegradable fuel. SEAduction has a 46-foot boat that can accommodate 22 passengers and a smaller 27-foot vessel that can hold 10 divers. As a Blue Star charter, SEAduction is committed to educating customers about the coral reef ecosystem and diving and snorkeling etiquette. SEAduction participates in many other practices to help promote and sustain a healthy environment. In addition, SEAduction is one of the Upper Keys dive companies that participates in the official Florida Keys Wreck Trek program. The company leads trips to four of the nine sunken vessels or artificial reefs that divers must explore to become a Florida Keys Wreck Trekker. Visit floridadivingcharters.com for more information. Key West's Sebago Watersports has recently added a new vessel to its fleet. The 60-foot Sebago Flyer offers Power Adventure day trips and romantic evening sunset cruises daily. The Power Adventure, a six-hour day excursion, includes sailing, snorkeling the Florida Keys' living coral barrier reef, parasailing, jet skiing, paddleboarding and kayaking — as well as use of Sebago's banana boat, water trampoline, water slide and water mat. The trip includes breakfast, full buffet lunch and beverages. Each evening, passengers can enjoy a two-hour luxury sunset sail that includes champagne, beer, wine, soft drinks and hors d'oeuvres. Although the boat can accommodate 68 passengers, Sebago limits its tours to fewer passengers to maximize their enjoyment. The sunset sail is limited to just 30 passengers. For information including departure locations and booking, visit keywestsebago.com. Visitors driving into Key West have a smooth new roadway to travel following the completion of a $41.5 million reconstruction and enhancement of North Roosevelt Boulevard, a primary route for motorists arriving and departing the island city. The project incorporated almost 3 miles of the boulevard from the U.S. Highway 1 triangle at the island's entrance to Eisenhower Drive at the start of Truman Avenue and the city's historic district. The majority of the new roadway, which required 59,000 tons of asphalt, features five traffic lanes: two each for northbound and southbound travel and a center turn lane. Elements of the comprehensive project included rebuilding, repaving and re-striping the roadway; installing crosswalks, 69 new street lights and Americans with Disabilities Act-compliant sidewalks; replacing existing traffic signals with hurricane-resistant signals and installing a new signal in a high-traffic area; adding extensive landscaping including 157 mature coconut palms; and rebuilding and expanding the seawall and promenade along the waterfront for pedestrians and bicyclists. Just in time for new exhibits and programming, the Custom House Museum, located at 281 Front St. in Key West, has completed a series of renovations. In addition to refinishing wood floors throughout the museum, windows have been upgraded and equipped with ultraviolet-resistant film on the windowpanes, which will help protect the museum's artifacts against sunlight and severe weather. Currently on display in the Custom House's Bryan Gallery is the show "Suzie de Poo: The Art of Hand Printing." The exhibit explores the influence of artist Suzie de Poo on the landmark Key West Hand Print Factory during the late 20th century. The exhibit will remain open until Jan. 2, 2015. Opening Oct. 10 and running through Feb. 5, 2015, is "Ronny Bailey: Visions of Key West." Bailey, a fifth generation Key West native, re-creates city landmarks from locally salvaged materials and adds whimsical details to bring Old Key West to life. Ongoing exhibits at the museum include "Flagler's Speedway to Sunshine," which showcases the construction, heyday and 1935 demise of the Florida Keys Over-Sea Railroad. The railroad, lauded upon its completion as the world's most unique, connected the Florida Keys with each other and mainland Florida for the first time in 1912. Custom House Museum admission is $9 for adults and $5 for children age 6 and up. Visit kwahs.com for details. KEY WEST, Florida Keys — Revelry in Key West is to reach a new height of "animeted" excess during the 3Wishes.com Fantasy Fest Parade set for the night of Saturday, Oct. 25, in the island's historic Old Town. The procession is the highlight of the Oct. 17-26 Fantasy Fest costuming and masking celebration, themed "Animeted Dreams & Adventures" in salute to traditional Japanese anime and other creative animation. The flamboyant parade typically includes more than 50 decorated and motorized floats, many towering two stories high and featuring music, light shows and oversized moving parts. Accompanying them are marching groups, island-style bands and street dancers garbed in elaborate sequined and feathered costumes. For the 2014 procession, event organizers encourage participants to draw inspiration from the festival theme. They might design costumes and floats around characters from stylized anime, comic books like the "Guardians of the Galaxy" series, role-playing "cosplay" or animated film blockbusters such as "Despicable Me." Standouts in recent Fantasy Fest parades have included a troupe of Wonder Woman look-alikes who "battled evildoers" during a spirited dance number, a float that starred fictional superhero Batman rising 40 feet above the crowd and a "Crustaceans on Vacation" entry peopled by "crabs" with huge claws. Pre-parade activities are to begin at noon Saturday with the open-air Duval Street Promenade on Key West's famed "main street." Attractions for merrymakers include vendors offering masking and costuming finery, food, libations and live entertainment. At 7 p.m. the parade is to begin at Southard and Whitehead streets. Floats, bands and other parade participants are to travel down Whitehead toward the Gulf of Mexico, turn onto Front Street and then proceed the mile down Duval to the Atlantic Ocean. Past parades have drawn more than 60,000 spectators to enjoy the pageantry. KEY WEST, Florida Keys — Revelers dressed as comic-book heroes, characters from Japanese manga and other colorful creatures are to parade through Key West's historic Old Town Friday, Oct. 24, during a high-spirited masquerade march that begins at the local cemetery. The march is a highlight of the annual Fantasy Fest celebration, an uninhibited masking and costuming festival scheduled Oct. 17-26 in the island city. Featuring more than 40 lively events, Fantasy Fest 2014 is themed "Animeted Dreams & Adventures" in salute to traditional Japanese anime and other forms of creative animation. The masquerade march typically draws thousands of merrymakers wearing everything from elaborate feathered masks to offbeat ensembles inspired by the festival theme. Free to enter and watch, the promenade is to start at 5 p.m. at the Key West Cemetery's Frances Street entrance. Participants proceed along two routes, stopping for libations at bed-and-breakfast inns along the way. Spectators line the streets of Key West's historic district, applauding and sometimes joining in, before the march reaches its end at the Fantasy Fest Street Fair on mile-long Duval Street. Recent years' participants have included a "101 Dalmations" troupe featuring dancers costumed as puppies, a trio of archangels with huge white-feathered wings, a flock of "flamingo men" dressed in fluffy pink tutus and a scaly green "dragon" that towered above the crowd. The march is a prelude to the annual festival highlight, Saturday night's 3Wishes.com Fantasy Fest Parade through Key West's downtown district. Each year the glittering procession includes dozens of lavishly decorated floats, costumed marching groups and high-energy island-style bands. KEY WEST, Florida Keys -- Speed-loving spectators can watch powerboats thunder past at 140 mph or more during the 34th annual Key West World Championship, set for Nov. 2-9 in the waters off the southernmost island in the continental United States. National and international racing teams are to vie for world titles in eight classes, including the celebrated Superboat class. The viewer-friendly spectacle is known for adrenaline-fueled action that has inspired comparisons to the Indianapolis 500. The traditional race week kickoff, a parade of high-powered boats down Key West's legendary Duval Street, is slated to start at 4 p.m. Sunday, Nov. 2. Racing is scheduled throughout the week, with high-speed challenges taking place Wednesday, Nov. 5; Friday, Nov. 7, and Sunday, Nov. 9. Because water conditions vary along the course, teams can test both equipment endurance and hull and propulsion design during the season-ending championship series. A portion of the 6.2-mile course runs through Key West Harbor, a stretch of typically smooth water where racers can achieve speeds above 140 mph and provide fans breathtaking displays of skill and power. On race days spectators can get an unmatched close-up view from grandstand areas on Key West's Truman Waterfront, which can be accessed at the end of Southard Street past Thomas Street and Truman Annex. On nonrace days, powerboat enthusiasts can view the sleek high-speed boats, watch in-water test runs and meet racers and crews at the race village, also situated on the Truman Waterfront. Social events for racers and their fans are planned as well, including a Friday night party on Duval Street featuring race boats on display. General-admission tickets are available, as are all-inclusive VIP spectator passes for the Truman Waterfront grandstands and hospitality tent. Other popular viewing areas include waterfront hotels and Key West's Mallory Square. KEY WEST, Fla. Keys — At the Heroes and Villains 5k Run/Walk set for 6 p.m. Monday, October 20, racers can dress as their favorite superhero or supervillain and run, walk or fly to the finish line. Prizes will be awarded for the most creative, best group, scariest and funniest competitors, and participants of all ages are welcome. Presented by Theme Runs, the fun-filled race is to start and end at The Reach, A Waldorf Astoria Resort, located at 1435 Simonton St. overlooking the Atlantic Ocean. Costumes are encouraged, but not required. The fast, flat course takes participants through a portion of Key West's historic downtown, onto the White Street Pier and along the Atlantic shoreline. "We invite runners and walkers to be super or be evil — and be awesome — as the sun sets over Key West," said race coordinator Beth Moyes. The race is an official event of the island city's Oct. 17-26 Fantasy Fest costuming and masking festival. The winner in each category receives a "golden ticket" entitling him or her and three cohorts to join Theme Runs' walking group in the Oct. 25 Fantasy Fest parade (adults only). Chip timing is provided and medals are awarded for male and female overall and masters winners, as well as first- through third-place male and female finishers in age groups ranging from 9 and under to 70 and over. First- through third-place male and female walkers also receive medals. Good or evil runners and walkers can register and pick up race packets at The Reach 5-7 p.m. Sunday, Oct. 19, and 3-5 p.m. Monday, Oct. 20. Race enthusiasts also can register online through Oct. 19. A luau and feast are scheduled after the race to recharge participants' "super powers." The entry fee is $25 per runner or walker until Oct. 14, 2014, and $30 per person thereafter. Fees include goody bags, free beverages and "puzzle piece" finisher medals. A portion of the proceeds is to benefit youth sports and camp opportunities for children with cancer.